December 24th, 25th & 26th. 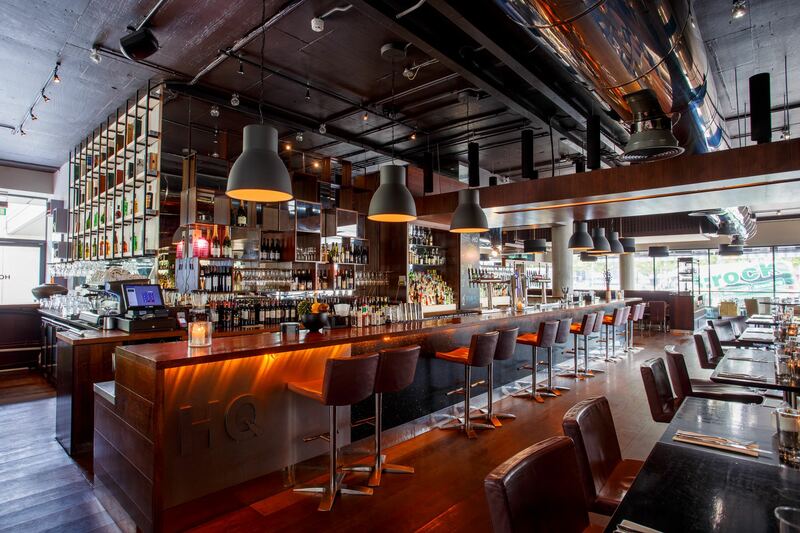 A modern Irish Restaurant and Gastrobar, HQ is at the forefront of culinary and beverage innovation. Our chef has sourced the best of local produce prepared with a modern twist serving a wide variety of dishes. 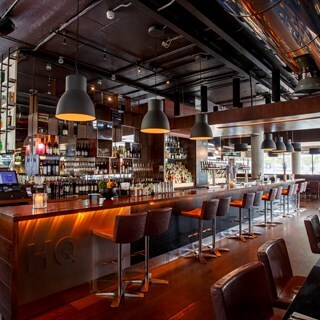 Offering phenomenal cocktails made with natural ingredients and Irish craft spirits, HQ is a funky and comfortable environment for all, located in the revolutionary area of the Grand Canal Docks. Influences have been taken from every element of the square and woven into the look and feel of HQ. HQ is a hub with endless possibilities, weather you are going to the show or having drinks with a friend we are the place for you. With hardworking and friendly staff, you’ll never feel out of place in HQ. vry good, would book again. Serving staff were very helpful. Even fixed our wonky table! Was down stairs lovely decor, and great atmosphere and the food was delish. Definitely will go back. Food was fantastic. Quick service. Service was very quick as we were a large group with little time before the theatre. Perfect location for pre-theatre dinner. Great food and friendly service. I have eaten here many time when attending the Bord Gais Theatre and have never been disappointed. Great place. Keep up the good work. Will be back soon. Very busy atmosphere, very good for a casual lunch. Food selection also very good - a bit too focused on presentation than convenience to eat though. It's a bit too loud for conversation for my taste. But the food and service was very good. Always have a great meal at HQ. The featherblade is particularly incredible and the staff are always so lovely and especially accommodating with our toddler. Staff were friendly. We made a reservation but were half an hour late and they had us seated in seconds. Chicken wings are amazing! Food was very tasty. The price of alcohol.is very expensive. €9 for a vodka and diet coke is outrageous. Incredible service from the minute we walked in the door. I have never experienced service like it in Dublin City. Ideal for before the Jersey boys! lovely food, great atmosphere and not in one bit rushed.